Apple's latest Worldwide Developers Conference keynote has ended, and tech fans across the globe have gotten their first taste of all the latest and greatest innovations coming from the tech giant. 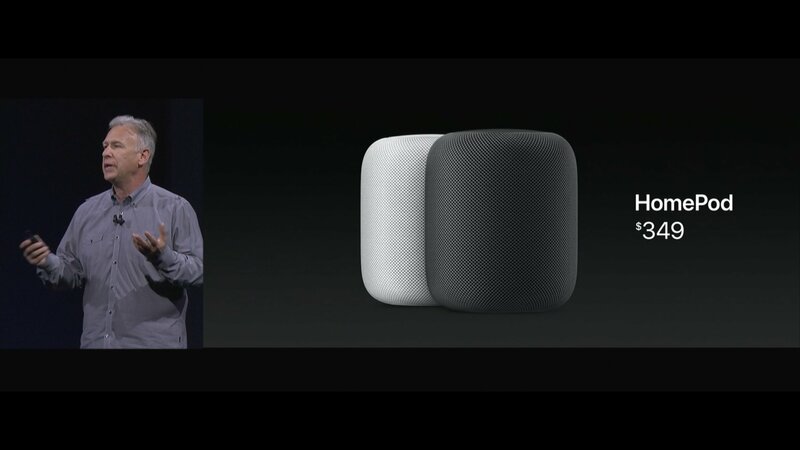 Among many other reveals like AR-focused technology and new iPad Pro models was the reveal of the HomePod, Apple's first foray into the popular smart-enabled speaker market. The HomePod includes many special features that fans of the latest accessories will love, and its special computer-assisted hardware is designed to maximize functionality while providing peerless home-tailored audio. Read on to discover everything we know about the Apple HomePod. Apple does its best to stay on top of the consumer electronics scene, and among some of the company's new business ventures comes the new HomePod. Aimed as direct competition to smart-enabled speakers like the Amazon Echo, the HomePod is a Siri-enabled speaker that aims to provide peerless sound and crucial smarthome connectivity. 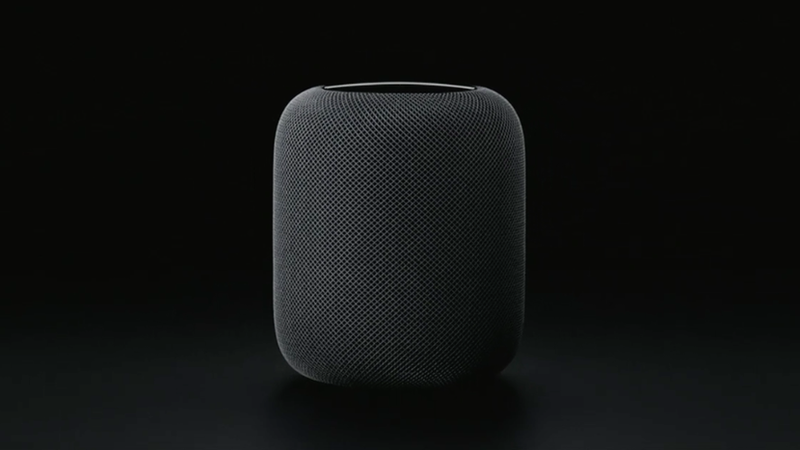 The HomePod itself stands at just seven inches tall, and houses within its White or Space Grey shell a specially-tailored four-inch woofer, a seven-tweeter array for focused vocals and upper frequencies, and a six-microphone array designed to be able to capture a user's voice no matter their location. The device itself is powered by an A8 processor, which means it can easily outclass many phones and tablets with regard to processing power, and the HomePod is fully compatible with the Apple Music streaming service. Apple spent a considerable amount of time during their keynote presentation to discuss the HomePod's intelligent sound capabilities: using computer wizardry, the HomePod can sense its location in a room as well as its surroundings, and can adapt its sound to custom-tailor delivery of specific frequencies, which Apple classes as direct energy, ambient energy, and vocal frequencies. The bottom line is that the speaker should be able to sense which parts of music require emphasis and then provide boosts in sound as well as in directionality. The HomePod is no slouch when it comes to smart functions, either. The speaker is fully compatible with Siri, and includes several basic functions like unit conversions, playlist interaction, news, weather, and more. The HomePod is also compatible with HomeKit devices, meaning keen smarthome users will be able to use HomeKit features to operate their lights, air conditioning, and more, regardless of whether they're at home or out on the town. The HomePod is also able to be linked to other HomePod units for an increase in room-filling sound; however, Apple's keynote mentioned this feature in passing, and aside from the obvious increase in volume, not much else is known about this functionality. In the usual Apple fashion, the HomePod won't be cheap -- the smart-enabled speaker is set to retail for $349. Still, it looks to do much and more when compared to other smart-enabled speakers on the market, and Apple fans will no doubt be drawn to the company's distinct style and feature set. There's a lot more coming out of WWDC 2017 than just speakers, so stay tuned to Modojo for even more coverage of all things Apple at this year's Worldwide Developers Conference. Wireless and Bluetooth speakers are all the rage these days, and we've got some solid choices as well as other hot mobile accessories featured on our list of the Best Mobile Accessories.